Royal Vienna Cup and Saucer. 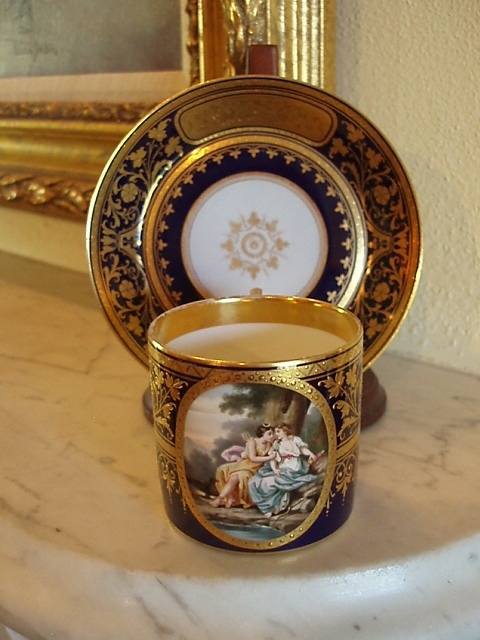 Hand painted in cobalt blue with elaborate raised gold decoration and jeweling. The cup has a portrait medallion of two women.